French Model Railway: A grown man runs his first model train since childhood. A grown man runs his first model train since childhood. Red letter day - the first time I've run a model train for over 45 years. A few months ago, I purchased this Electrotren autocar from a stall at a model railway exhibition held in the Cite du Train Museum in Mulhouse. Decided to try it out. Apparently, one should run-in any loco before one fits it with a DCC chip. A poorly running loco can blow the chip. Of course, without a chip installed one cannot run the loco off the DCC controllers. 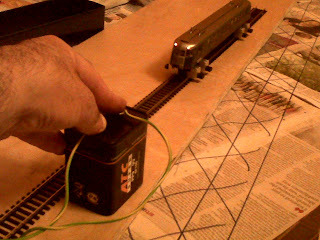 So I bought a 9v DC battery, found an old piece of wire which I tied (literally) to a piece of track and placed a loco on the track. Amazing result: the loco moved! 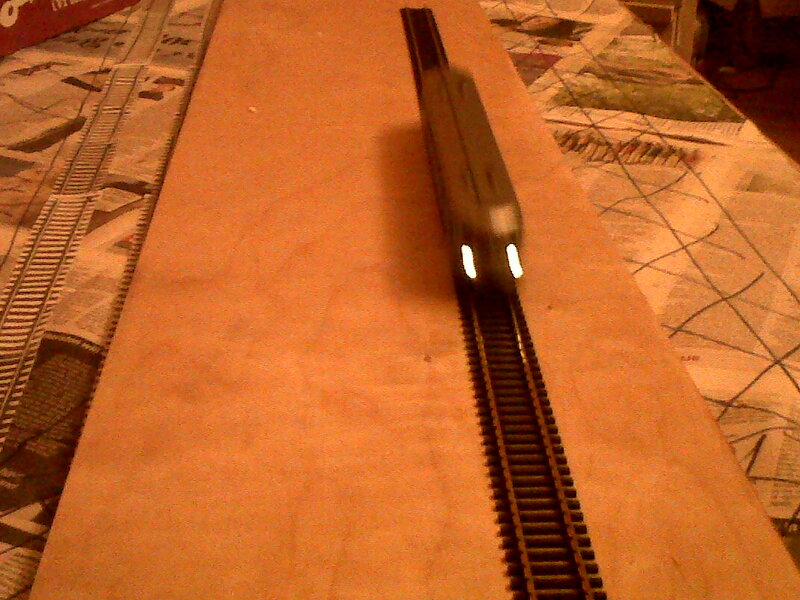 As I say, the first time I've operated a model train for over 45 years. Also, red tail lights and white headlights came on. It's a pity I can't (yet) show a video. Still photos will have to do. This photo shows the loco on a Bachrus running stand - more of that in the next blog. Straight platforms it definitely is - I think. Wiring an old loco for the computer age. Not sure I'm cut out for this. More purchases - this time tools. The thrill of a parcel arriving. My first sheet of plywood. 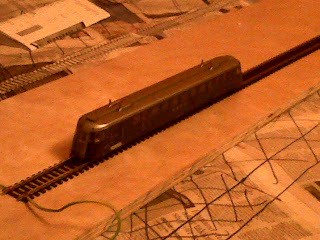 The layout will occupy a fairly small space.